Our system has a dashboard that combines rails and road traffic density visualization, and aims to predict the usage of the train, based on historical trends and the whether conditions. 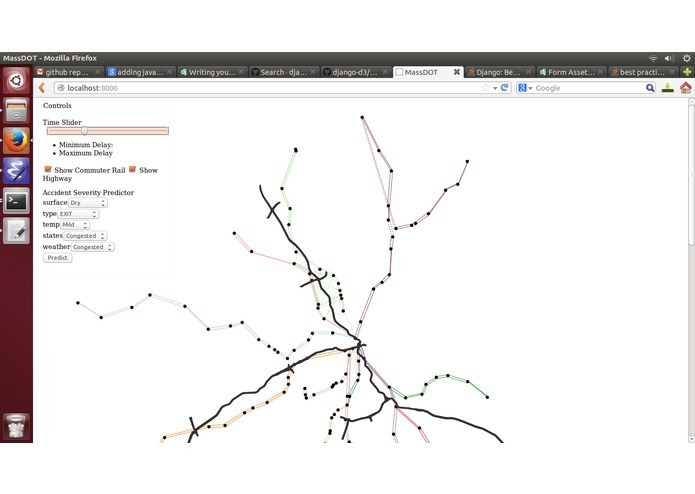 Using the system, the user can view the average density of passengers both on the road and the commuter rail. In addition, we built a predictor that takes in the expected weather conditions, and gives a relatively accurate prediction on the potential for a severe accident on state highways.